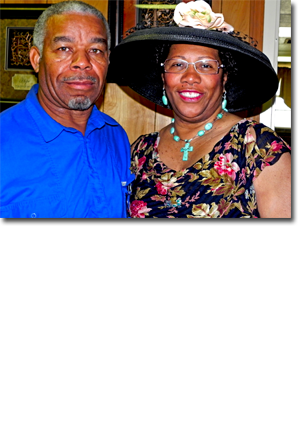 Dr. Cheryl Lewis and Apostle Mercury L. Lewis are founders of The Way of Truth Deliverance Ministries of Memphis, TN. They are the parents of 4 daughters and 4 grandchildren. Dr. and Apostle Lewis are both residents of Memphis, TN. Dr. Cheryl Lewis has traveled and ministered in the U. S. in conferences, revivals and seminars. Apostle Mercury Lewis has ministered stateside as well as overseas. Dr. Cheryl Lewis has ministered in the areas of deliverance, healing and in prophetic ministry. Dr. Cheryl Lewis is also a recipient of The Esther Award that was presented to her by The National Coalition of Women in Ministry. Dr. and Apostle Lewis have appeared as guests on Prophet Will Pearce's Prophetic Ministry telecast in Memphis, TN. This team operates in the five-fold ministry gifts of the Spirit of God. They have worked faithfully together throughout their 38 years of marriage.